Every once in a while a band seems to come out of nowhere and blindside you. This Swedish band (more great music from that part of the world) and their CD, "Uncharted Souls," does just that. 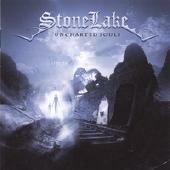 "Uncharted Souls" is one of the better constructed releases I have heard in awhile, surprising you with each new tune. There is a lot of music coming at you from all sides; it's complex and yet easy to understand and enjoy. What a rush! This is one melodic heavy metal performance, with keyboards adding layers, rather than softening them. The vocals are outstanding, ranging from heavy hair band style to death metal growling with nary a missed beat. I could not find anything I didn't like about "Uncharted Souls." With this album, Stonelake delivers a near perfect release. Everything is in the right place: talent, high productions values and determination. Stonelake does it right! Check them out on the web at http://www.myspace.com/stonelaketheband. Revised: 29 Jan 2019 02:25:12 -0500 .